Collagen is a protein found in the human body and as we age our collagen production decreases. There are many benefits to taking collagen peptides! For a long time I watched a lot of people I followed on Instagram take Collagen Peptides. I thought it was just for their skin because they were concerned about wrinkles to be honest. After months of seeing people use it my curiosity got the best of me and I decided to research “what are collagen peptides”? Collagen is a protein found in the human body- in the bones, muscles, skin, and tendons. It is the substance that holds the body together and provides strength and structure. As we age, our collagen production decreases. What is the purpose of collagen? There is a ton of research out there on the benefits of taking a collagen supplement. I am not a doctor or medical professional so if you would like to start incorporating collagen peptides into your diet please discuss it with your doctor or a medical professional. I am stating the personal reasons why I use collagen peptides in my diet. 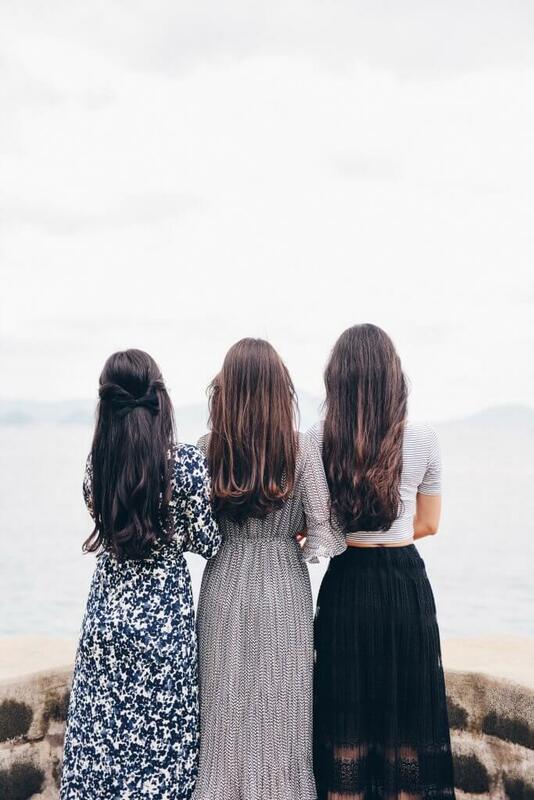 My hair doesn’t grow very fast and I bleach it… so I’m not the kindest to it 😉 The number one reason I began taking collagen was to help strengthen my hair. I really feel like my hair has more volume than it ever has, and the only thing I’ve changed in the last few months is adding in collagen. My nails rarely break now and I always have to trim them because they grow fast and very strong. I’ve always had to take really good care of my skin because I had acne growing up, so I don’t notice a huge change there, but I know it is benefitting my skin from the inside out. I took collagen for a few months before I even knew that it was helpful for your gut! Once I heard this I was a “collagen-lifer”. Collagen can help leaky gut and also help heal any stomach sensitivities. I have been super sensitive to spinach, avocado and cilantro for the last several years. Since I started eating healthier and taking care of my body and adding in a collagen supplement, I have been able to add in avocado and cilantro back into my diet and have had no stomach issues! I am still very cautious with spinach, but the last few times I’ve had it I’ve not had the stomach cramping that I was experiencing so I have to wonder if the collagen has helped heal the lining of my stomach. I cannot make that medical claim, but I think it has helped. I had back surgery over two years ago and sometimes my joints were achy from carrying around an additional 100 pounds and living with chronic pain for several years. My body is still adjusting to my weight loss and by taking collagen I am helping repair my joints and decrease inflammation. I was SO inflamed after back surgery and before starting my weight loss journey in November of 2015. I hurt all the time, and the inflammation was ridiculous. I am so thankful with a healthy diet, exercise and the implementation of collagen peptides and other supplements, my body feels better than it has in a LONG time! A ton of studies suggest that collagen can help you sleep better. I don’t get a ton of sleep (#momlife) but when I lay down at night I have absolutely no trouble falling asleep and staying asleep. I am not restless and I fall asleep very easily. I do believe a healthy diet and exercise helps with this as well. 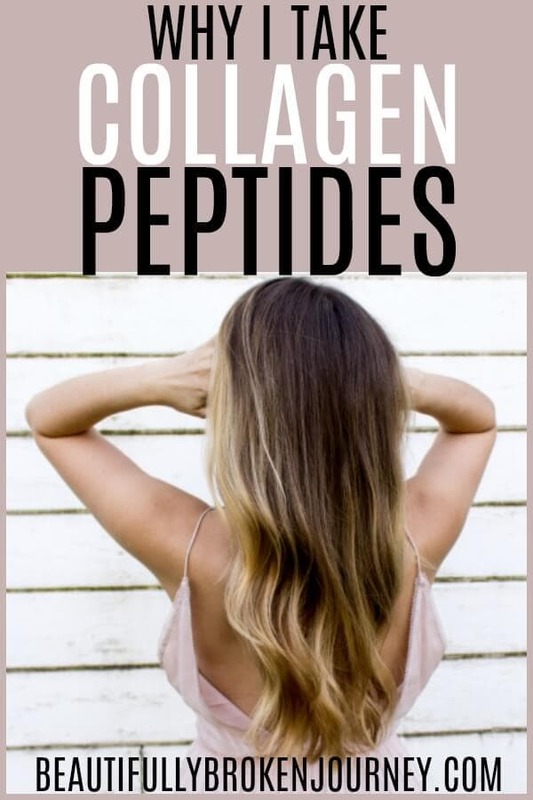 Another question I get is how to use collagen peptides? 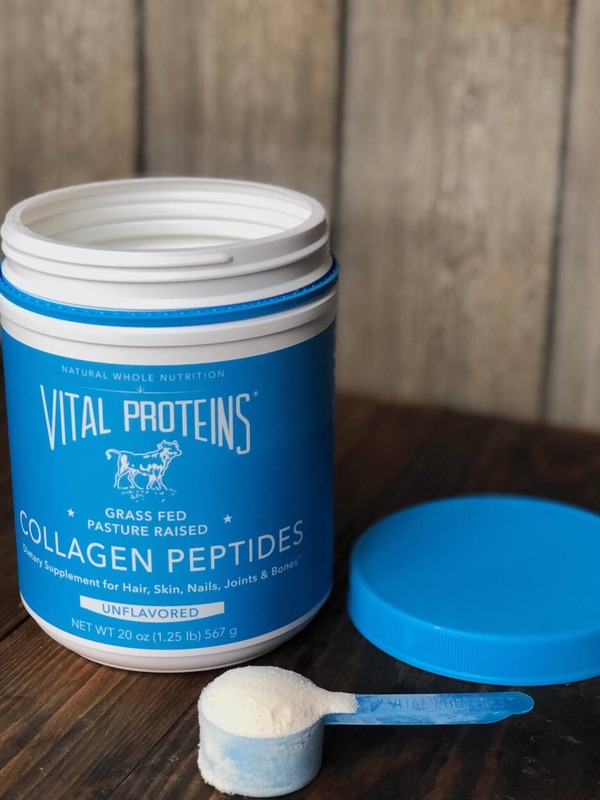 I buy the Vital Proteins unflavored collagen peptides powder so it’s really versatile. Here are a few ways I use it. There are many brands available. The only one I’ve ever used is Vital Proteins. I liked it from the start so I’ve never had a reason to change. You can purchase it directly from Amazon here. Do you take collagen peptides? Why did you start taking it? The collagen benefits provided in this blog post was acquired from the Vital Proteins website, Lively. This post is not sponsored by Vital Proteins, these are my personal opinions based on my experience. I’ve been thinking about starting collagen. Thanks for the additional info! I hope the information was helpful! This topic is new and interesting to me. Thank you for sharing! Hope you like it, Barb! That is really great that taking collagen can help with a leaky gut and help heal any stomach sensitivities. My stomach is very sensitive to a lot of food, and I have been wondering if there was anything I could take to help. I will have to give collagen peptides and see if that helps! Thank you for the information! I would love to know if they help you over time, Deb! Thank you for sharing! I recently found and started following you amd love your “voice” on topics!! I also read the Hollis book but forgot to go to FB at the right time. 😀 I loved it! I am goi g to ask doc anout the collagen but I had a question about your post- you mentioned other supplements. Have you shared your routine previously? Just wondering what other types of supplements. Thanks so much! You are a great role model! I take this brand and love it! It has helped my skin for sure! 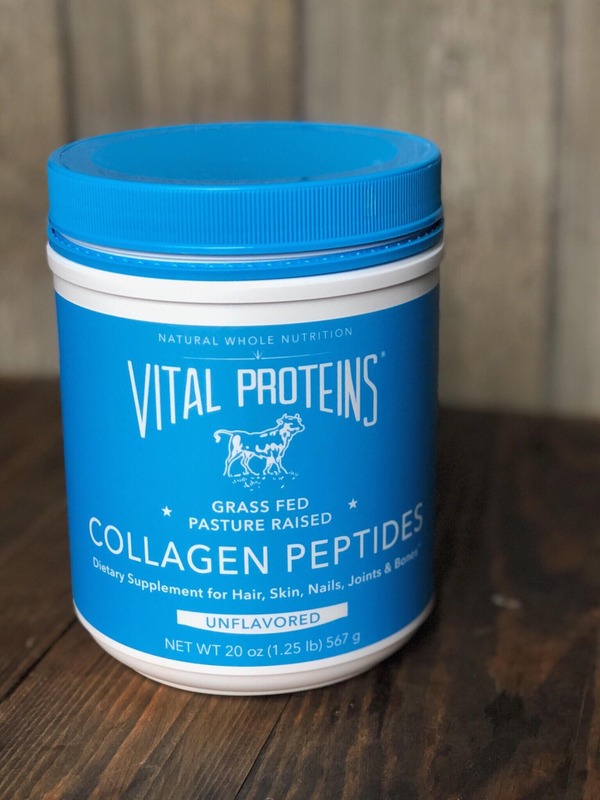 I must live under a rock – never heard of collagen peptides until reading this post. With so many benefits, I’m beyond curious and eager to try it. Thanks for this info – I got me some learnin’! This is really interesting! As I get older, I’ve noticed my body just doesn’t bounce back like it used to. I’ll have to look into this more. I have seen some of the people I follow on Instagram post about this a lot lately so I have been wondering about it! What are all of the ingredients and what kind of protein is it? I stay away from proteins made from soy and whey. Thanks for sharing! This was very informative! Wow. I’ve often wondered about collagen supplements. I’m going to look further into. Looks like something I could benefit from. I have been so happy with my results, Shana! This is something I’ve been meaning to add into my daily routine and I’ve actually been looking at that brand, yay!!! It’s a great brand! I’ve been so happy with it! Such good information! I have been thinking about starting to use this for awhile not but just haven’t gotten around to it. I will have to try! Thanks for all of the great content about it. Thanks Sophie, if you use it I hope you get great results! I’ve seen so many people post about this on Instagram and I’ve been really curious about it. Thank you for your great review. I really need to look into it for sleep especially. I have so much trouble sleeping. . If you take it let me know if it helps with sleeping for you! I love vital proteins and recommend everyone adding them to their beauty routine! I use the little packets in my smoothie every day! Loved your review! !